Mysteries usually answer one or more of three questions - who did it, how it was done or why it was done. Most murder mysteries answer one or all of the questions by the end, but when they do it is rarely satisfying. 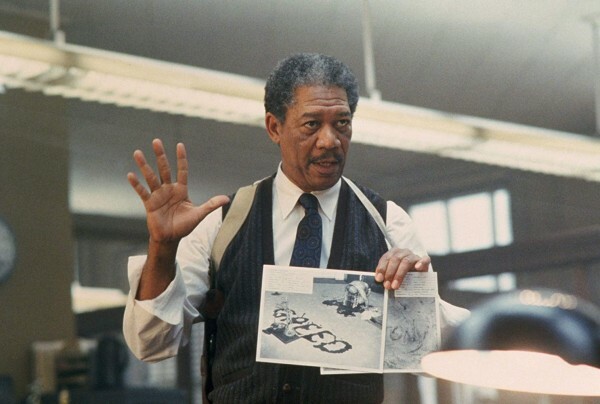 Se7en does not really answer any of the questions and yet is utterly compelling. 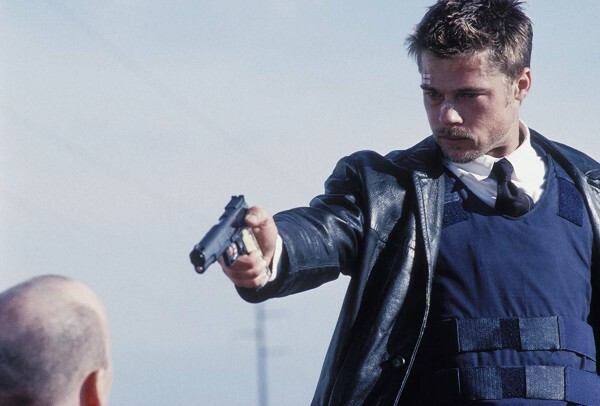 Se7en is a 1995 murder mystery crime film directed by David Fincher and starring Brad Pitt and Morgan Freeman. Detectives Mills (Pitt) and Somerset (Freeman) investigate a series of bizarre and grizzly murders shortly after Mills's transfer from another city. Mills is hotheaded and arrogant while Somerset, days away from retirement, has grown weary and apathetic. The murders are intricate and in some way related to the seven deadly sins and the detectives are struggling to piece the case together in time. The setting of Se7en is foreboding. All the events take place in an unnamed city simply described as being horrible by everyone who lives there. It always rains and is apparently devoid of culture. The location feels like a character, an intangible force propelling the characters on their dark paths. The direction is sublime as well. Fincher is known for being almost scarily intellectual and this was his first film where he had creative control. He uses framing and camerawork to direct our attention to exactly the right amount of information to keep us guessing and yet fully understanding the positions and motives of the characters. No actual murders are shown, the victims are usually dead by the time we see them and what happened to them is only briefly described by the detectives. Our minds fill in the gaps and can often invent something more horrifying than we could be shown. This creates tension and uncertainty which gives some truly terrifying moments that most horror films could not accomplish. The sloth victim is probably the stand-out one for most people. If you haven't seen the film, it's best if you watch it to see what I mean. So, to the questions, unanswered or answered. This will contain spoilers for the mysteries of the film, but the film is less about the mysteries more about the philosophy of the city and the characters, so you can choose whether to read on or watch Se7en first. You have been warned. Who committed the murders? The identity of the actor playing the elusive John Doe was kept secret. Kevin Spacey, before he was revealed as a sexual deviant by the MeToo movement, was not on any promotional material and his name does not appear in the opening credits. But, the question remains who is John Doe? We meet him, but don't get a back story - he is just a random person, we don't know how he came to be who he is when we meet him. How were the murders committed? It is usually described in some detail, but we do not know how John Doe contrived these circumstances or found these people. We cannot say how he kept a man alive to the exact point of death for a year, nor how he got in and out of a lawyers office to kill the greed victim without being noticed. As Somerset says in the film, " If we catch John Doe and he turns out to be the Devil – I mean, if he's Satan himself – that might live up to our expectations. But he's not the Devil. He's just a man." Finally, why were the murders committed? Again, because we know little about John Doe we do not know why he decided to do these things. He gives his own account - his disgust at the sleaziness of life in the city, but most people would agree with him without needing to commit murder and certainly not the ghastly murders portrayed in Se7en. He is a derranged preacher delivering a sermon that only he sees the truth of - a truth that rests with him and him alone. In a meta moment near the end, John Doe talks about his crimes being studied for decades and in a sense that is true. 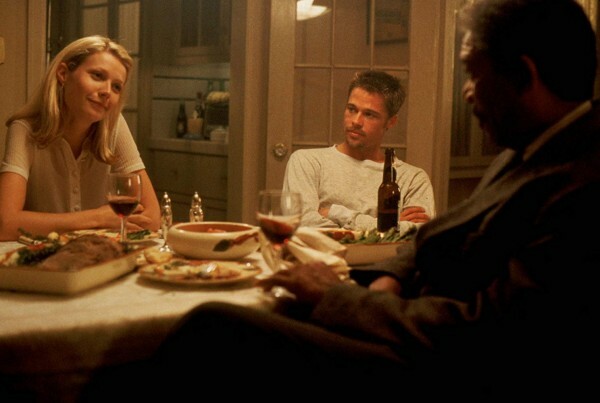 Watching Se7en, you cannot help but get into the characters' minds and try to answer those questions. You can come up with theories, I think most people watching have an idea of what they think the answers might be, but just like real life, in the end nobody really knows for certain. So, if you want a truly bleak and disturbing, yet highly compelling and ballsy murder mystery, Se7en is definitely a film you should watch this Christmas.